VANCOUVER, BC – Veteran cartoonist Graham Harrop has announced the release a new collection of cartoons about craft beer and brewing. 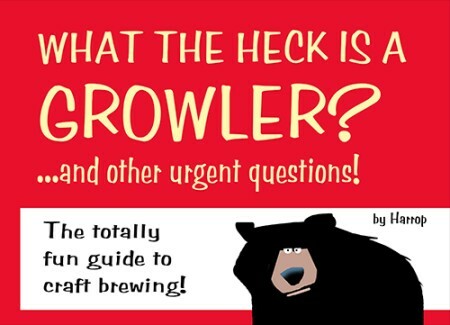 What the Heck is a GROWLER? is a “totally fun guide to craft brewing” from the Vancouver-based artist known for his work in The Globe & Mail, The Vancouver Sun, and the online comic strip Ten Cats. The 40-page book has been published by Harrop’s own Gryndstone & Fusspot Press, and is available now via Createspace.